Congratulations to Masayo Takahashi (高橋 政代), MD, PhD, the winner of the 2014 Stem Cell Person of the Year Award. Dr. Takahashi received this award including the $2,000 prize for her exceptional achievements in stem cell research in 2014. She was selected as the winner from a stellar group of top 12 finalists this year. Takahashi leads a team doing high-risk, high reward research that is conducting the first induced pluripotent stem cell (IPSC) clinical study in humans ever. I interviewed Takahashi at the beginning of this year and you can learn more about her research and vision for the future from reading that interview. 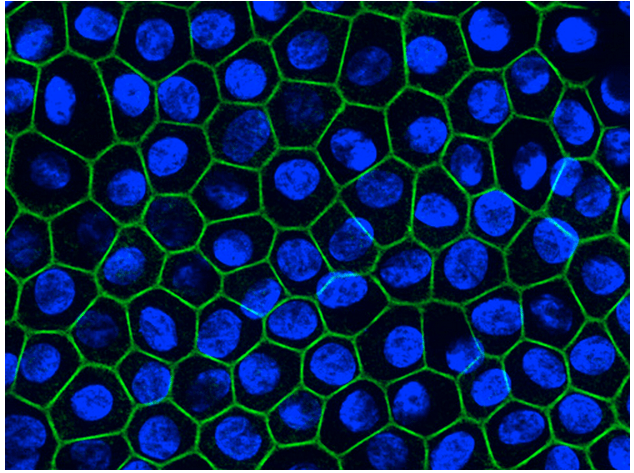 The Takahashi team clinical study is intended to examine the safety of a human retinal pigmented epithelial cell (RPE) product made from each patients’ own IPSCs. You can see at right RPEs produced by her team from monkey pluripotent stem cells. 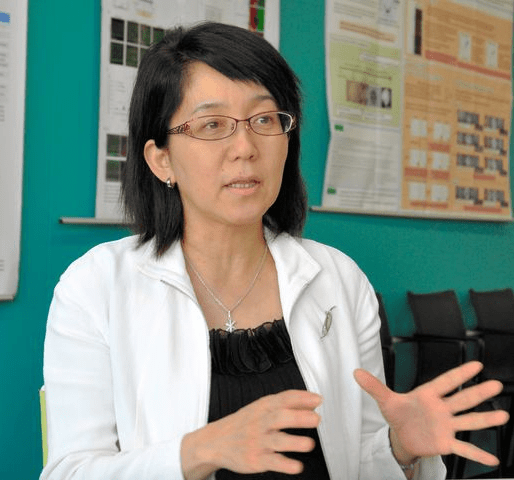 I was surprised that after the announcement of human iPSCs in 2007, Dr. Takahashi told me that she would bring iPSC to the bedside within five years. I thought it possible technically speaking, but doubted it could be done so soon, since we needed to improve the technology and get government approval. It took 7 years, which is remarkable considering the work required. Both the accomplishment and the speed at which it was achieved are testaments to Dr. Takahashi’s leadership and her strong team. Her achievements extend beyond this year to an outstanding long-term track record in vision research including a very impressive track record of highly-cited publications. Takahashi is physician scientist, who is a faculty member and Project Leader at the Laboratory of Retinal Regeneration at the CDB at RIKEN. Some of her nominators for the Stem Cell Person of the Year Award described her as a “transformative” and “courageous” stem cell scientist. Below you can see a TEDx talk from just a few months ago by Takahashi explaining her work. Takahashi joins previous Stem Cell Person of the Year Award recipients Roman Reed and Elena Cattaneo as outside-the-box thinkers who to take risks to make outstanding new developments in the arena of stem cell research with the goal of helping others. More about the Stem Cell Person of the Year Award. I fund this prize myself as a way of giving back to the stem cell community and recognizing transformative people who take risks to help others. It is to my knowledge the only annual, international science-related prize personally funded by a professor. Excellent choice! Dr. Takahashi is a true pioneer in the stem cell community.